Decorating Shopping Malls for the Holidays. Smart shopping mall and shopping center managers know that preparation for next holiday season starts now. Proper planning for the Christmas season to come can help to ensure great holiday traffic flow, happy retail tenants and an all-around successful holiday season. Whether you’re designing a totally new holiday decor program or simply updating your existing one, start thinking about how to make this year’s holiday season shine brighter than ever. Here are a few things to consider for increasing customer counts and profits during the most important selling season of the year. 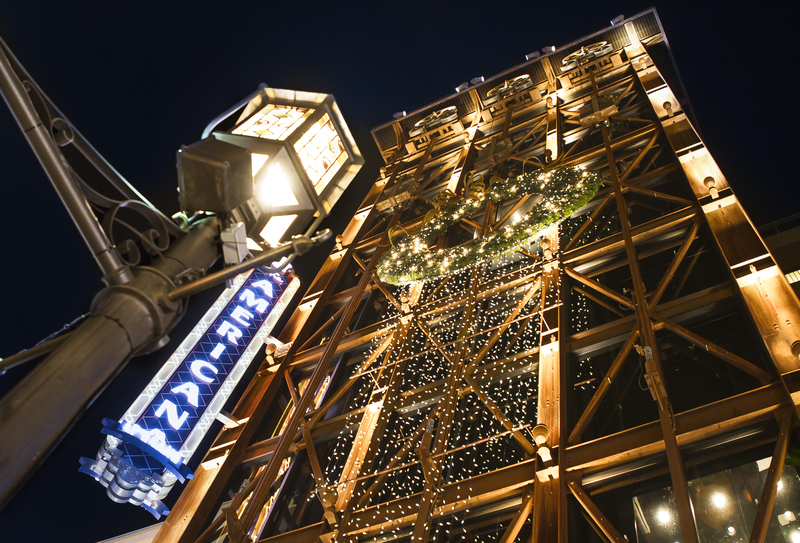 Your exterior holiday décor may be the most important element of all, as it can attract customers passing by to stop in to visit your shopping center. 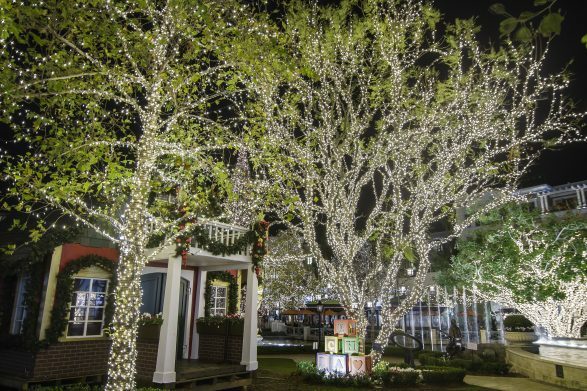 Creating an inviting feeling of holiday wonder and magic is at the forefront of your outside design, and lighting is key to accomplishing this. The Grove and Americana at Brand are two examples of malls that excel in this area. By wrapping windows, trees and rooflines in lights, washing walls with LED spotlights, and adding large lighted decor elements like giant hanging ornaments or life size Santa sleigh and reindeer, you’re sure to bring holiday visitors in from the cold. Studies show that shoppers will spend more when they are feeling warm and festive. To generate this feeling, make sure that Christmas decor is plentiful inside your shopping center as well. Here again, lighting is critical. Think about what theme would appeal most to your customers. Is it fashion forward and contemporary, with clean white twinkling lights and silver and gold accents? Or more traditional and classic, with colored lights and red and green colors? Lighted wreaths and garlands are other eye-catching elements to consider. Professional decor designers like Mobile Illumination can help you choose a theme to set you apart from the competition. A large, exquisitely decorated and lighted Christmas tree makes a great centerpiece and gathering place for your entire property. Stage crowd-pleasing events like holiday choral concerts, holiday craft fares, and of course, a grand Christmas tree lighting ceremony can provide more reasons for customers to visit. Make sure the center of your property is “on point” and worthy of shoppers’ attention. Santa may not be real (spoiler alert! ), but the extra visitors you can attract with him sure are. Hiring a Santa for the holidays is a great way to bring in families of shoppers who want their child’s photo taken with a professional Santa. It will not only generate extra revenue through photos sales, but also through customers Christmas shopping before or after their appointments with the jolly old elf. Though it may seem to be a long time to come, the holiday season will be here before you know it, and planning well in advance for your lighting and décor is crucial. Scheduling now also allows you to obtain the optimal date of installation and removal. 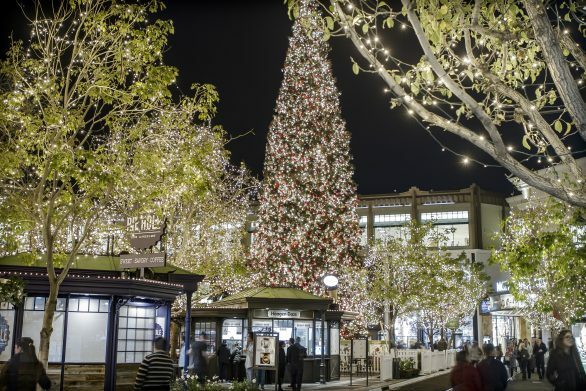 At Mobile Illumination, we’ve designed and installed holiday lighting and décor for some of Southern California’s leading malls and shopping centers. Give us a call today for a free estimate and let us show you how we can bring the magic of the holidays to your retail space. Spring is coming! 5 ways to prepare your restaurant for springtime. Year-round decorative lighting for hotels and resorts makes every stay feel like the holidays.